An eight week course – every Wednesday from September 24th to 19th November - 7.00 pm – 9pm. Saturday 14th June at 11.00 Edward Sheldon Ltd, Shipston-on-Stour. Edward Sheldon are old established Wine Merchants and have been trading in the historic market town of Shipston since 1842. They still occupy the original extensive cellars and offices and this is another opportunity to share in their rare and colourful history as well as being able to view an 18th century working wine cellar. Ebrington is again holding it’s annual Home Made Wine Festival and everyone is welcome to come and taste the proceeds. The British Association for Shooting and Conservation (BASC) are organising a Taste of Game Week across the UK between November 10th and November 17th. The Taste of Game Week is an initiative designed by BASC to encourage those who shoot to promote game to a wider range of audience. BASC in the Cotswolds, in association with Hook Norton Brewery, are holding a Taste of Game buffet at the Brewery Visitors Centre aimed at encouraging everyone to eat more game combined with a fabulous range of award winning real ales and bottled beers. The evening will include a tour of the Brewery, which is a “traditional” tower brewery over six storeys, which will take approx. 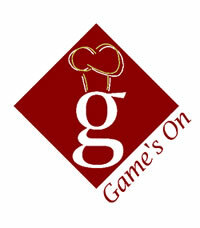 one hour, followed by a sampling of a variety of six beers and a delicious buffet with many different types of game. The cost of the evening will £20.00 per ticket and arrive at the Brewery between 18.00 and 18.45 for the tours which will take place at 10 minute intervals. 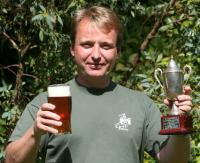 “White Knight” was also overall champion at the second annual Cheltenham Beer Festival. These awards gave the Brewery something to cheer about as they were twice inundated in the recent floods losing all of their beer and most of their office equipment. Goffs Brewery was founded in Winchcombe in 1994 by Marcus and Alison Goff. It has since grown into one of the longest-established and most successful independent brewers in the West of England. All Goffs’ ales are produced using only natural ingredients, malted barley and wheat, made to traditional family recipes developed by Marcus’s father and master brewer Brian Goff. They produce Ales of the Round Table series – twelve different style bitters made on a rotational basis- and “Sleepless Knight” was brewed at the birth of each of Marcus and Alison’s two daughters and received national acclaim. “White Knight” was the first beer to be available bottled and it gained a silver award in the Taste of the West competition and is shortly to be stocked by Tesco. The Society of Independent Brewers was founded in 1980 under the title The Small Independent Brewers Association (SIBA) to represent the interests of the growing numbers of independent brewing companies in the UK. It changed it’s name in 1995 to reflect better the changing aspirations of its members but maintained its original acronym. SIBA members seek to preserve the traditional styles of beer and ale indigenous and unique to the British Isles and their traditional methods of manufacture. The SIBA Annual Brewing Conference and AGM 2008 will be held on 6th & 7th March 2008 at the Royal York Hotel York. Entries (RSS) and Comments (RSS). 22 queries. 0.345 seconds.